Cleaning the house or apartment is usually not the top item on the list that you really want to do. But unfortunately, it is a necessity. If you can afford it, a cleaning service can make this chore much easier, but the majority of people can not afford it. 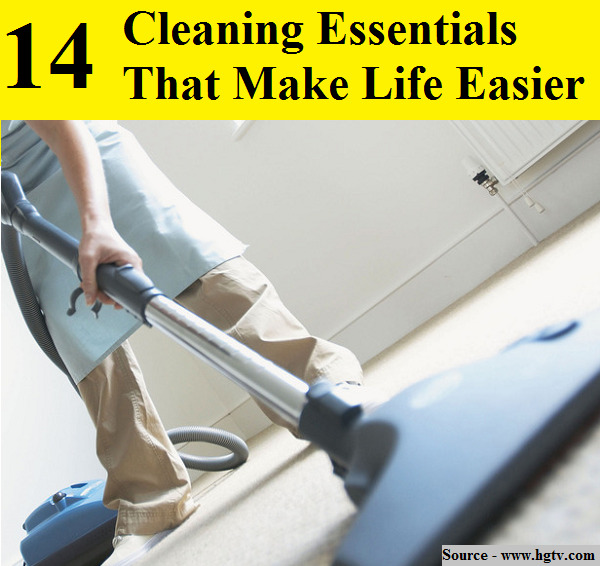 These cleaning essential ideas will help you make the chore of house cleaning a little easier. Thanks to hgtv.com for these great cleaning essentials. Follow the link below to learn more.